S.P.Y. · Carlos Barbosa de Lima Junior · DJ · DJ S.P.Y. 2013 is the golden year for S.P.Y, aka Carlos Lima, the DJ and producer with a career firmly rooted in the underground drum and bass scene. After signing to heavyweight label Hospital Records in 2012, S.P.Y has moved from strength to strength bringing his trademark heavy, soulful sound to the masses. His debut LP, 'What The Future Holds' was released on Hospital Records the same year to critical acclaim. The LP not only received significant support from fellow artists and topped online sales charts, but was also awarded the coveted 'Best Album' at the annual 2012 Drum & Bass Arena awards. Moving to London from São Paulo ten years ago, S.P.Y was quick to establish himself within the UK drum and bass scene. After six months of working with only basic equipment, S.P.Y's natural talent for production saw his first ever release signed to Metalheadz in 2005. Discovered by Goldie himself, 'Till Dawn' was featured on the 'Winter Of Content' compilation and was a key indication of the quality of things to come. In 2006 S.P.Y signed his second release 'Black Flag / Double Dragon' on newly established label Med School, Hospital Records' alternative, experimental imprint. This release was quickly followed by 'Ghost Ship / Silent Sleeper' and S.P.Y began collaborating with artists such as BCee, Physics and Kiat. In 2009 S.P.Y released his first solo EP on Marcus Intalex's label Soul:R and had releases on many other labels including Digital Soundboy, Innerground and Metalheadz. During this time S.P.Y also developed lasting production partnerships with Total Science and DJ Marky. The following years were immensely successful for S.P.Y, with support from producers across the scene. Friction included five S.P.Y tracks on his Ministry of Sound compilation and Andy C featured four tracks on his Nightlife compilation. 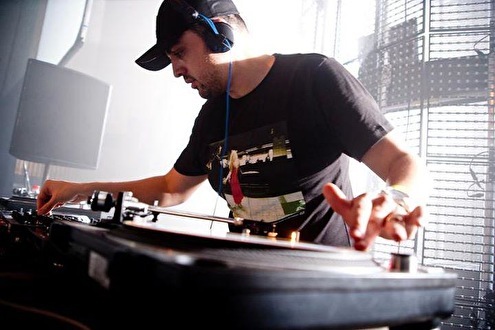 Proving his production quality and consistency in 2010 / 2011, S.P.Y delivered standout releases on Ram, Metalheadz, Shogun and Spearhead – Most notably his universally adored track 'By Your Side'. In addition to this, S.P.Y also took on high-profile remixes for the likes of Deadmau5, Claude von Stroke, LTJ Bukem, Chase & Status, Delilah and Zinc ft. Miss Dynamite, with S.P.Y's own personal re-lick of Zero 7's 'In The Waiting Line' becoming a signature in his live sets. In 2012 S.P.Y focused on the production and release of his first LP 'What The Future Holds', backed up with a relentless tour schedule of Australia, the United States, Canada, Russia, Asia, New Zealand and Europe. S.P.Y's skills behind the decks rival his studio talents and he delights fans with an educated blend of old school classics and fresh new beats. Always one to stay true to his roots, S.P.Y has a unique ability to bring his trademark underground sound to a worldwide audience. Alternating between beautiful, orchestral, musical sets and dark, rolling mixes S.P.Y captures the emotions of the crowd and is definitely one to watch. Whether he is playing at a high-profile festival such as Exit, Outlook or Nocturnal Wonderland or an intimate club show, S.P.Y always delivers. Moving into 2013 S.P.Y is once again touring the globe and busy in the studio. His remix of James Zabiela's 'Perseverance' has been a huge success, in addition to his collaboration with Nu:Logic 'Start Again', which was included on their debut album. The summer season sees S.P.Y playing big-name festivals such as Parklife, Electric Daisy Carnival, Tomorrowland, Global Gathering and Love Box and working on his forthcoming second LP, to be released on Hospital Records. The future is holding great things for S.P.Y and his growing global fan base and outstanding reputation are testament to this.